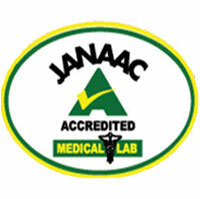 JANAAC’s accreditation symbols are copyrighted under the Trade Marks Act of Jamaica (1999) and are licensed for use to a conformity assessment body (CAB) accredited by the Jamaica National Agency for Accreditation (JANAAC). The CAB shall be accredited by JANAAC in order to have the right to use the JANAAC accreditation symbol or the ILAC MRA Mark in combination with JANAAC’s accreditation symbol. An accredited CAB wishing to use the Accredited CAB Combined ILAC MRA Mark shall seek permission to do so from JANAAC. The accredited CAB shall agree to the rules, as stated in this document, for using the JANAAC accreditation symbol or the Accredited CAB Combined ILAC MRA Mark before being granted permission to use them. By signing the JANAAC licence agreement, the accredited CAB is confirming agreement to these rules. 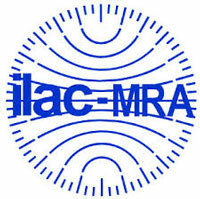 The accreditation symbol or the Accredited CAB Combined ILAC MRA Mark shall not be used by applicants for accreditation. An accredited CAB is allowed to use the Symbol or Combined Mark only on the reports and certificates it issues within the scope of its accreditation. The Symbol shall not be used by a CAB’s subcontractor which is not accredited by JANAAC to the relevant standard. The Symbol shall only be used by an accredited organization under the name or the registered trade name of the legal entity in which it holds the accreditation. JANAAC’s symbols shall not be placed on products or items which a laboratory has tested or calibrated [or which an inspection body has inspected (except on inspection labels) under specified conditions]. The Accredited CAB Combined ILAC MRA Mark shall only be used by accredited CABs established in economies where the ILAC MRA Mark is registered. The Accredited CAB Combined ILAC MRA Mark may not be used by JANAAC Accredited inspection bodies at this time because the agency is not yet a signatory to the ILAC MRA for the ISO/IEC 17020 standard. Reports which bear the Symbol shall be authorized by a signatory/signatories whose approval(s) encompass(es) the scope of accreditation. Signatories must be technically competent in order to approve reports. The names, qualifications and signatures of these individuals must first be submitted to JANAAC to be approved as authorized signatories. The accredited CAB shall inform JANAAC when it changes authorized signatories. The Symbol or Mark can be used together with the accredited CAB’s logo or symbol ensuring that the size of the Symbol or Mark is not smaller than the accredited CAB’s logo or symbol. An accredited CAB may use the Symbol or Mark to advertise in communication media such as the internet, documents, brochures for only those conformity assessment activities for which it was accredited. The Symbol or Mark shall not be used in any manner as to bring JANAAC into disrepute. The Symbol or Mark must always be used in its original designed proportions and must not be distorted, compressed or stretched in any way. The Symbol or Mark must not be used in any size that renders the JANAAC name illegible. The Symbol or Mark must only be used in its normal orientation and must not be rotated. The Symbol or Mark must always be used on a background that does not impede its readability. The CAB shall only use the Symbol or the Accredited CAB Combined ILAC MRA Mark in reference to the accreditation scope and premises included in the accreditation. The Symbol or the Accredited CAB Combined ILAC MRA Mark shall not be used in any manner which gives the impression that JANAAC accepts responsibility for test, calibration or inspection results or for any opinion or interpretation derived from those results. The CAB should not allow the fact of its accreditation to be used to imply that a product, process, system or person is approved by JANAAC. The CAB should take due care to ensure that all statements made in reference to the Symbol or the Accredited CAB Combined ILAC MRA Mark, and their use on any report or certificate are not considered misleading or unauthorized by JANAAC. An accredited CAB shall immediately stop issuing reports, certificates and any other documents, which contain the Symbol, the Accredited CAB Combined ILAC MRA Mark or textual reference to the accreditation, in the event of reduction, suspension or withdrawal of the accreditation scope. Accredited CABs do not have the right to use the Symbol or the Accredited CAB Combined ILAC MRA Mark on the business cards of their workers. An accredited CAB may mention that it operates a quality management system on its test, calibration and/or inspection reports using the following statement, “This laboratory/inspection body is accredited in accordance with the recognized International Standard (ISO/IEC 17025:2005; ISO/IEC 17025:2017; ISO15189:2012; ISO/IEC 17020: 2012). This accreditation demonstrates technical competence for a defined scope and operation of a laboratory/inspection body quality management system”. The Symbol or the Accredited CAB Combined ILAC MRA Mark shall not be used in any manner as to bring JANAAC into disrepute. 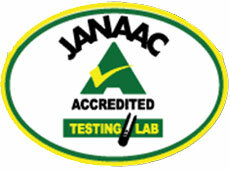 JANAAC recognizes that customers of an accredited CAB may need additional comments regarding the serviceability or suitability for specific purpose of the items, samples, batches or consignments or an amplification or interpretation of the results obtained written on reports or certificates endorsed with the accreditation symbol. When this is needed, such statements of interpretation shall be based on those results for which accreditation is held. Where such statements of opinion and interpretation are outside the scope of accreditation, the CAB shall be required to include a disclaimer in the report or state these opinions in a separate letter which is not a part of the endorsed report. JANAAC recognizes that misuse of the accreditation symbol or the Accredited CAB Combined ILAC MRA Mark could significantly undermine the credibility of the whole international conformity assessment process. Therefore, the CAB shall not make any statement relevant to its accreditation which JANAAC may consider misleading or unauthorized. Should this offence occur, JANAAC shall take suitable action to deal with incorrect references to accreditation status or misleading use of accreditation symbols or the Accredited CAB Combined ILAC MRA Mark, found in advertisements, catalogues, websites, etc. In addition, in the event of suspension, withdrawal or termination of the accreditation, an accredited CAB shall immediately stop issuing reports, certificates and any other documents which contain the symbol, the Accredited CAB Combined ILAC MRA Mark or textual reference to the accreditation. Failure to do this will result in sanctions by JANAAC as described in JANAAC’s Procedure for Reduction, Suspension or Withdrawal of Accreditation.